Oak Mountain in Speculator is set to celebrate their 70 year anniversary on Saturday, February 2nd from 3 to 7 pm. The public is encouraged to share memories, photos, old ticket stubs or season passes and win prizes. There will be face painting, retro costumes, a torchlight parade, live music by The Willie Playmore Band and beverages by Paradox Brewery. Giveaways include 70th anniversary pint glasses and birthday cake. Lift tickets for the event are discounted: two adult lift tickets for $70. For additional information, click here or email info@oakmountainski.com. If you can’t make it, but have stories and photos to share, submit them here. Oak Mountain, located at 141 Novosel Way, in Speculator, has a variety terrain and an affordable rate. 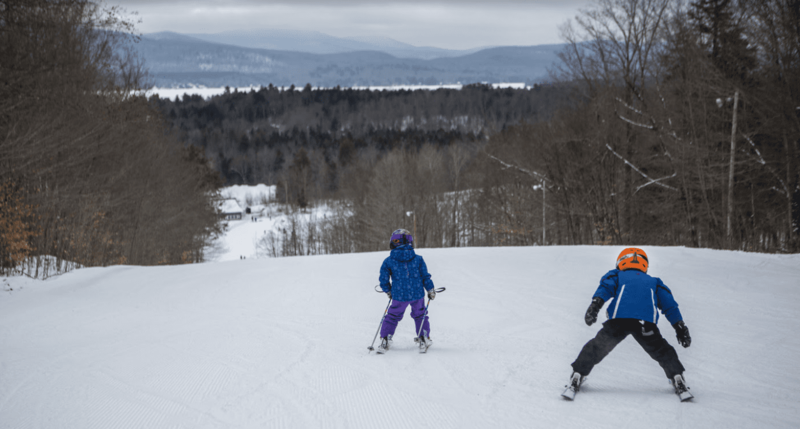 The mountain has 22 ski trails and four lanes of tubing, snowshoeing trails, a ski and snowboard school, and it is accessible by snowmobile. Photo of Oak Mountain skiers provided by ORDA.